The year was 1576 when the first Elizabethan Amphitheatre was born. The term amphitheatre in today’s context holds very less of a relevance as it held in the early days of history. The Romans can be credited for bringing forth the concept of amphitheatres within the human civilization. A different kind of entertainment started flourishing holding hands with the new concept. It was altogether an exciting and new concept for the Elizabethan period. 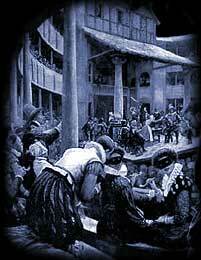 The Elizabethan Amphitheatre was a breakthrough from the early inn-yard concept of theatre. A change in the number of people getting accommodated actually brought in more number of audiences to the theatre. The capacity was increased to a steep rise of almost 3000 people accommodation as compared to the earlier capacity. Dr. John Dee takes the credit of designing the first Elizabethan Amphitheatre. He was an immensely talented architect, designer, magician, and an extremely educated and wise Elizabethan. His vast knowledge about the ancient Roman and Greek Theatres actually brought him so close to perfectly designing the Elizabethan Amphitheatre.A place which was later not only used for theatres but also was used for several blood games fights etc. Compared to the early inn theatres the Elizabethan Amphitheatre proved much more economical. The shifting open inn theatres could house lesser people thus earning very less and limited revenues. Whereas the permanent Elizabethan Amphitheatre took the least time of 5-6 months to be built, which once taking off could house the maximum number of people. No recurring building or construction charge started getting the best possible returns throughout the year. Housing the most number of people not only proved beneficial for the money earned per show it also increased the scope of future investment. The scope of more Elizabethan Amphitheatres getting built. James Burbage can be essentially considered the father of Elizabethan Amphitheatre he wanted to revive the Elizabethan tradition of theatres thus along with Dr.Dee he started devising a way to bring in positive change in the history of Elizabethan theatres. Their ideologies proved fruitful as soon people got attracted towards the Greco-Roman which was constructed on the same motif of the early theatres. Borrowing from the Greco-Roman architecture helped bringing in more people for the shows. Not only was the Elizabethan Amphitheatre dependent on the ancients for the representation, it also dedicated itself to the Greco-Roman theatre. Several portions in the interiors were named after the early amphitheaters. Namely the pillars and the stage. Based on the concepts of the Greco-Roman culture even the playwrights of the Elizabethan Amphitheatre namely William Shakespeare and Marlowe started shaping their plays to be performed on the Elizabethan Amphitheatre accordingly.